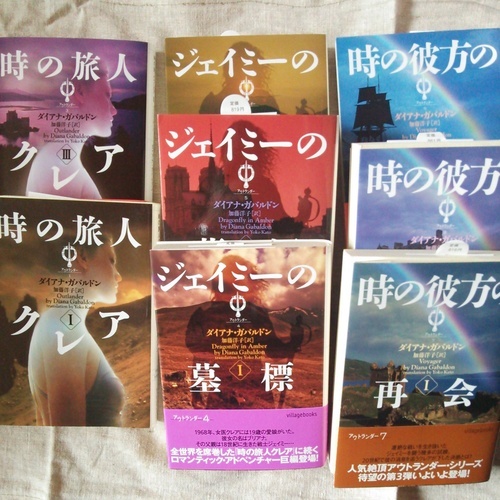 The Japanese edition of "outlander" part1-3 is not inprint any more. Since the drama started I wanted to read "outlader" but I could only buy a part of it. I cannot start reading till I get the books in between the section of which I bought, which is outlander2. I looked all around Japan. Asked at the bookstore and the publisher but the answer was "no". The publisher says that there are many request of in printing it again and they've tried but couldn't.